Browse 26 K Russian radio broadcast files for free! The Vera and Donald Blinken Open Society Archives at Central European University (OSA) presents an online, fully searchable database of audio programs produced by RFE/RL Russian Service during the last half a century. Thanks to the cooperation between BLINKEN OSA, RFE/RL and the Hoover Institution Library & Archives this vast cultural heritage is now open for free & open access. During 2015-2016 OSA systematized, preserved and processed this unique Cold War period audio collection. The archive includes more than 26,000 audio clips broadcast into the Soviet Union and Russian Federation by Radio Svoboda from 1953 (the year the service was established in Munich, West Germany) to 1995 (when RFE/RL moved from Munich to Prague, Czech Republic). Highlights of the radio programs include news and political programs about the U.S.S.R. and the world as reported by distinguished émigré journalists, writers and historians; on-air readings of banned literary works and poetry recitals; and unique radio plays authored by such luminaries of Russian letters as Alexander Solzhenitsyn, Viktor Nekrasov, Joseph Brodsky, Vladimir Voinovich, Alexander Ginzburg, and Eugenia Ginzburg. The archive also includes Radio Svoboda’s collection of samizdat, or clandestinely published materials that provided news about trials, imprisonments, forced labor camps and forbidden expressions of life behind the Iron Curtain; and talk shows that connected Soviet audiences with Russian exile culture. Cooperation on the project started in 2014 with the intent of providing free and unlimited on-line access to this historical audio material. With the publication of this over 10 thousand hours of Russian language broadcast in a bi-lingual English and Russian catalog OSA wishes to further facilitate free and critical thinking, and encourage expanded research into Soviet era culture and politics. The Hoover Institution Archives provided support to Radio Svoboda journalists who digitized and described the contents of the Russian audio archive in Prague, Czech Republic. The Hoover Archives then authorized OSA in Budapest, Hungary to complete and enrich the metadata for the digitized collection and prepare the archive for publication online. Several other parts of RFE/RL’s vast research archives, which are deposited at OSA, are now available for online research, including collections of RFE Information Items, RFE/RL Situation Reports, RFE/RL Background Reports, RFE/RL Polish Underground Press, and Soviet and Russian Television Monitoring. OSA has also made available online parts of the pre-1971 corporate records of the Free Europe Committee (FEC), the legal predecessor of RFE/RL), including digital copies of encrypted Telex messages between FEC’s office in New York and RFE headquarters in Munich from 1960 to 1964. Radio Free Europe –Radio Liberty Russian language broadcast archive would have been impossible to publish without the dedicated work of RFE/RL in Prague, especially of Ivan Tolstoy and Olga Shirokova. OSA would also like to thank to Irina Lagunina and Oleg Shariy for their continuous support. Established in 1995, the Vera and Donald Blinken Open Society Archives (Blinken OSA) at Central European University (CEU) in Budapest, Hungary is both a repository of important collections, primarily related to the history of the Cold War and grave international human rights violations, and a laboratory of archival experiments on new ways of assessing, contextualizing, presenting, and making use of archival documents. 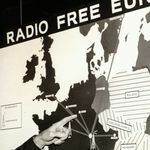 Radio Free Europe/Radio Liberty is a private, independent international news organization whose programs -- radio, Internet, television, and mobile -- reach influential audiences in 23 countries, including Russia, Ukraine, Iran, Afghanistan, Pakistan, the republics of Central Asia and the Caucasus. It is funded by the U.S. Congress through the Broadcasting Board of Governors (BBG). Check out OSA’s holdings using our catalog. Find out more about our projects on OSA’s web site. Or follow us on Twitter and Facebook.